Here at the Turkish Towel Company we are often asked about the difference between bath towels and bath sheets. So we thought we would put together a bath towel vs bath sheet comparison, so you can determine which towel best suits your needs. 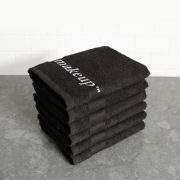 We sell both bath towels and bath sheets in sets of three. However, if you are ordering one of our 8-piece sets, these come with bath towels, which are the standard for most sets that include washcloths and hand towels. In addition to the standard bath towel, many people like to add bath sheets, which are seen as more luxurious. Standard bath towels vary in size from manufacturer to manufacture. Here at The Turkish Towel Company, our bath towel is 28” X 55”. A bath towel is the typical towel that you see adorning towel racks, often in a double or tri-fold. You can easily wrap children in bath towels, and are a good size for twisting around your hair after washing. They can be used for blotting or rubbing down your body after a bath, but usually they are a bit small for wrapping around an adult’s body. Bath towels are less expensive than bath sheets. Bath towels are considered the standard in bath linen sets. Bath towels are highly versatile, and can be used to dry off and wrap around your hair. Bath towels easily fit on all towel bars and racks. Quite simply, a bath sheet is just like a bath towel, except bigger. Bath sheets are usually 35” X 60” which means more absorbency and more to wrap around you! If you find that you need two towels to dry off, or that a bath towel just doesn’t cut it for wrapping around your body, then a bath sheet is the way to go. Men like to wrap bath sheets around their waist as they shave. Women often wrap a bath sheet around them while they do their hair or put on make-up. Bath sheets are larger and more absorbent. Bath sheets are usually more expensive, due to size and luxury. Bath sheets are perfect for wrapping around your body, but are too big to wrap around your hair. Bath sheets can be used in standard sized towel bars and racks, but because of their size are more likely to be found hanging from a hook on the back of your bathroom door. Thank you for your inquiry. We only make and sell towels and robes. If you interested please call us at 866 631 1676. I am looking into Bath Sheets. Preferably white annd I am inquiring about the cost plus shipping cost. We have many selections in white.